The next day after the Tokyo Fashion Fiesta fashion show, is the day where fans of Ena Matsumoto get to attend a meet & greet session at Tokyo Street's Event Hall. Had a hard time to choose what to wear. I browse through a lot of Ena-san's blogpost, try to learn how she wears. MODE style isn't that easy. Anyway, pull it off with the black and white dress, mode enough? lol. Reached there about 1:10pm, I'm getting all nervous suddenly because I didn't see anyone at the counter doing registration nor anything about Ena Matsumoto's meet & greet session. I asked the receptionist at the concierge counter, she told me they will only set up the counter of registration at about 2pm. I kinda feel relief because me and le bf haven't had anything yet since morning, so decided to grab something to eat first. When Ena-san saw me she was like "I remember you!". LOL. Happy die me. After the photo session with Ena-san, there comes the time EMODA fans were waiting for - The Q&A session about Ena Matsumoto and the brand EMODA. 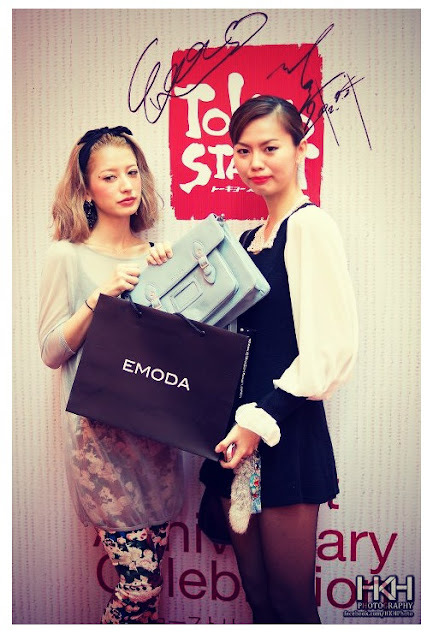 10 lucky fans get to win EMODA products especially selected by Ena-san herself. This is the moment I've been waiting for! 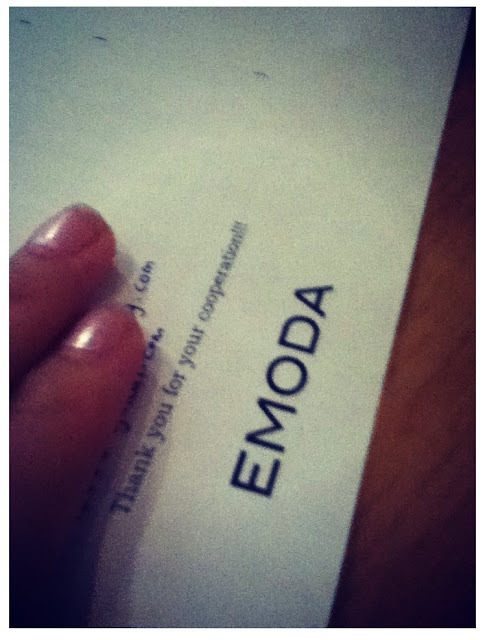 I'm longing to get an EMODA item but they're sorta expensive and only can be bought through online. And another moment that I'm glad I bought the ViVi magazine because without reading what it wrote about EMODA, I really have no idea of EMODA's history. While other girls are being unsure about to put their hands up or not, I'm the first one who did for the first question, and got selected! YAYY!!! 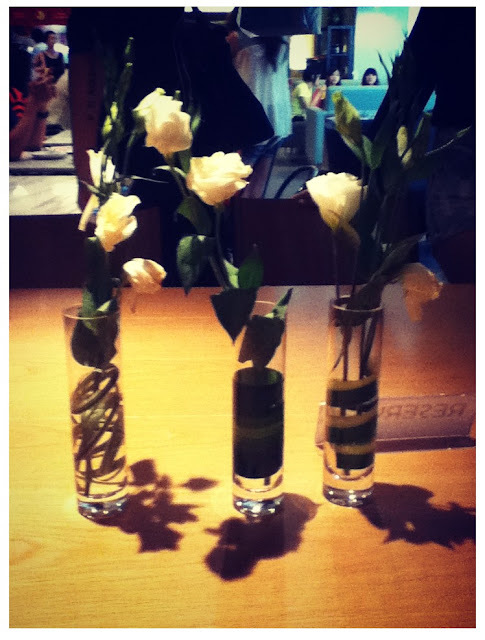 Later on, was super lucky, got invited to a tea session with Ena-san at En Ginza cafe. Another 10 lucky fans, and I'm one of them again! There must be some lucky shining star shined upon me that day hahaha. Ena-san and Aco-san on the right. I think EMODA to open its shop at KL or not sorta lies in our hands and answers. hahaha. 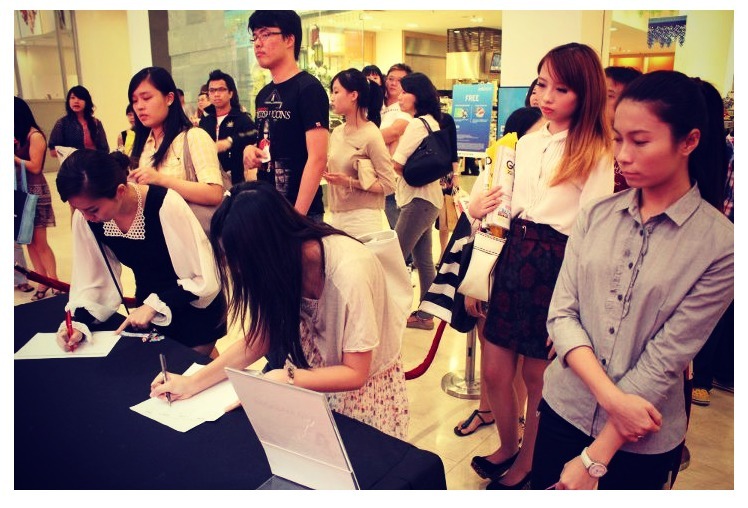 Thank you very much Pavilion KL for making a lot of our 'Japan dream' come true in the month of July. It is definitely one significant month for us Japanese culture lover to get to witness all these happening events took place at Pavilion and Tokyo Street. Thank you Ena-san for coming to Malaysia, it's such a pleasure to work with you. Wonderful experience indeed. Hope to see you again someday in future!